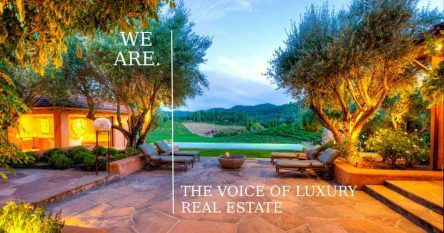 I’m delighted to report that I just broke my own record of selling the highest residential property without a commercial component in the history of Napa Valley. 870 Meadowood Lane in Saint Helena, located through the security gates of Meadowood Resort, closed on Monday July 7, 2014 for $15,000,000. It was truly an honor and a privilege to be involved in this historical transaction. 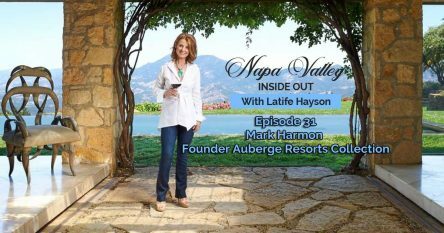 In 2007 I was the co-listing agent and co-agent for the buyers of another magnificent property, 20 Campbell Creek Road, Oakville, which until now was the highest residential sale in Napa Valley’s history. The sale price was $13,950,000. The property re-traded in 2013 for $13,500,000. A press release was just published regarding the $15,000,000 Meadowood Lane sale and can be found by clicking here. Please read below for details of this exquisite property and its spectacular panoramic views. 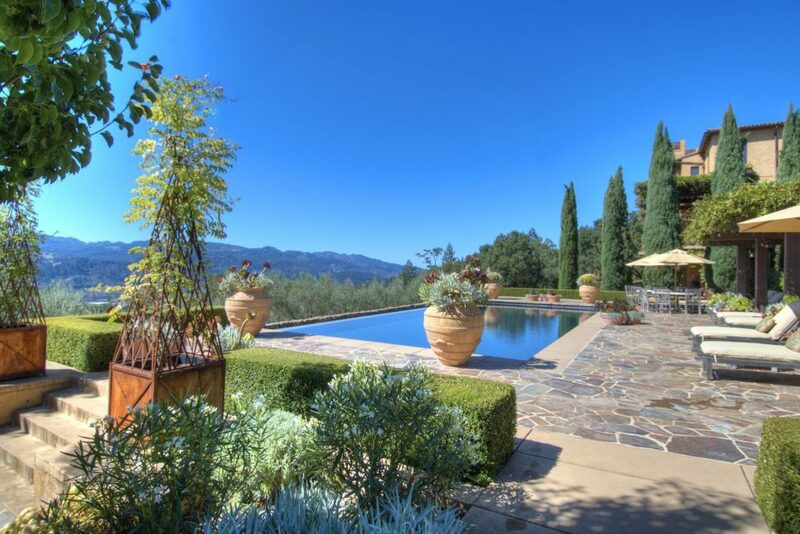 Above and within the internationally acclaimed Meadowood Resort lies this incomparable estate with commanding views of the Napa Valley, overlooking the charming town of Saint Helena, world-class vineyards and the exclusive Napa Valley Reserve. Enjoying a secluded, approximately 45 acres, the relaxed sophistication of this George Homsey designed residence is truly unmatched. With the classic design of an Italianate villa, the nearly 12,000 square feet of living space in the main home offers 6 bedrooms and 8 baths. This magical estate includes a spacious, 2 bedroom/2 bath guest house, a guest unit, meticulously landscaped grounds with mature trees, a fabulous pool, and an approximate half acre gentleman’s premium Cabernet Sauvignon vineyard. The sprawling, outdoor living space is ideal for entertaining on wine country evenings. Only masterful builders, craftsmen and decorators using the finest materials were employed in Meadowood Lane’s design and construction, which includes solar power throughout. Make sure to follow my blog for the latest updates on listings, sold properties, industry news and community happenings. You can also follow me on Twitter and “like” my business Facebook page to remain in the loop. I’m certainly looking forward to what the rest of 2014 brings!